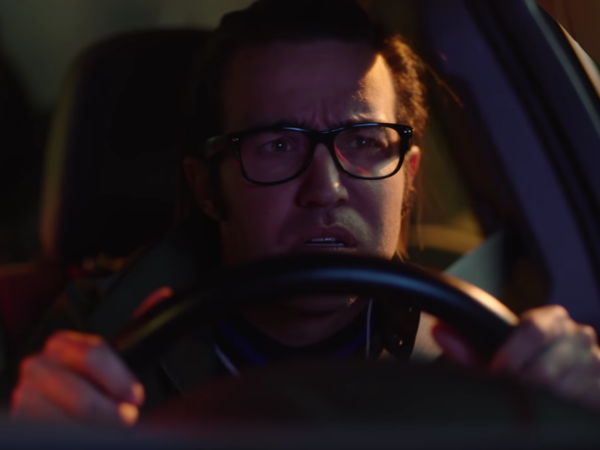 Fall Out Boy's Pete Wentz stars in the new video for the Weezer song "Can't Knock The Hustle." Weezer has finally released its first new song from the band's upcoming full-length The Black Album. "Can't Knock The Hustle," featured in a comical new video staring Fall Out Boy's Pete Wentz, is a hooky mix of funk, disco and Latin pop. "Hasta luego," frontman Rivers Cumo sings on the chorus. "Hasta luego adios." In the video, Wentz appears as a ride-share driver stuck with two obnoxious passengers who can't keep their hands off each other. The band's YouTube post for the video includes a link to what they're promoting as Hasta Luego Adios, a "ride share service with hustle." Cuomo has been teasing The Black Album for months. There's still no official release date for the album. "Can't Knock The Hustle" was produced by TV On The Radio's Dave Sitek.